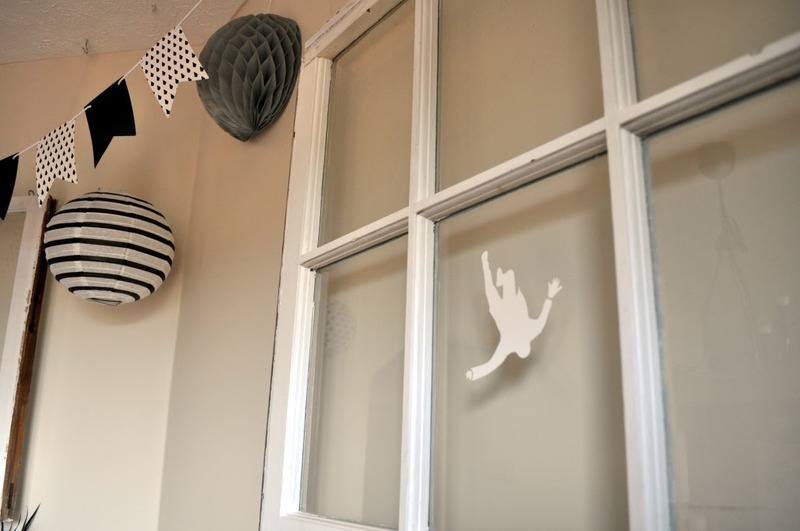 Last week we talked about invitations, decorations and costumes. 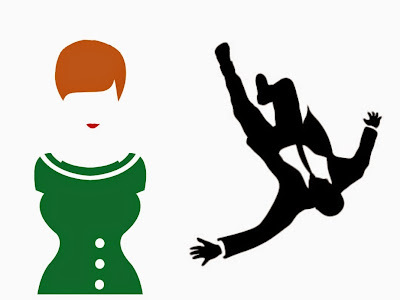 Now let's talk about fun cocktails and delicious treats that fit into our Mad Men theme. 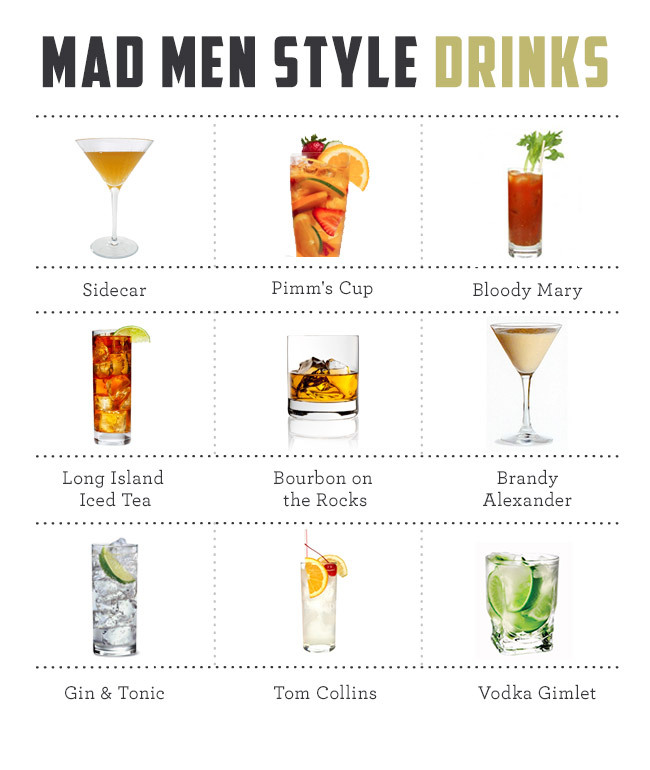 The old fashioned was the first cocktail to be featured on Mad Men so that is definitely a must have at your party. 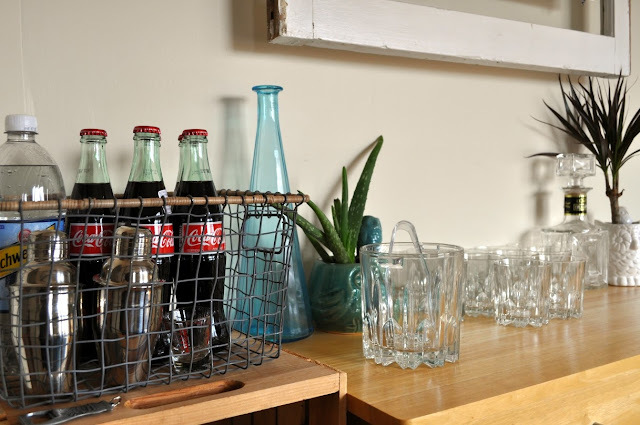 We picked a few cocktails that shared similar ingredients and also made up a few pitchers so that our guests don't have to craft their cocktail if they don't want to. I decided to make a fun party favor that would be useful during the party as well. I purchased different types of glasses at the Dollar Tree and customized them so that they fit in with our Mad Men theme. 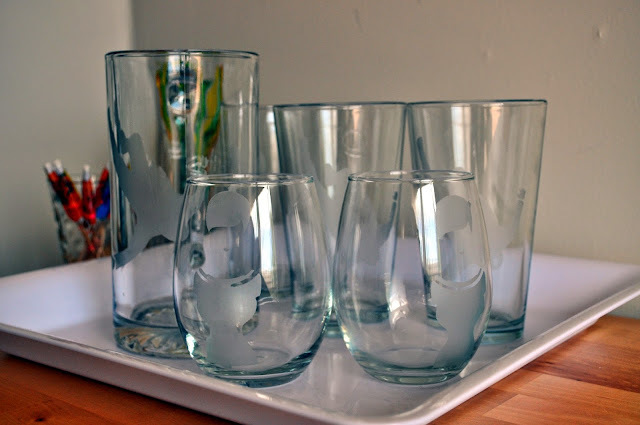 I found these images online and cut them out of vinyl with my Cricut. 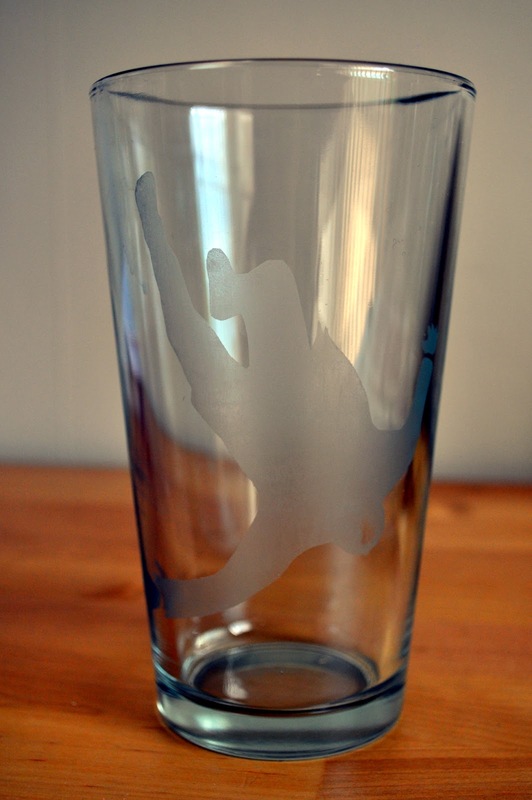 Then I applied the vinyl sticker to the glass and used glass etching creme to etch the design into the glass. Sticking to our theme, we're serving tasty retro appetizers. 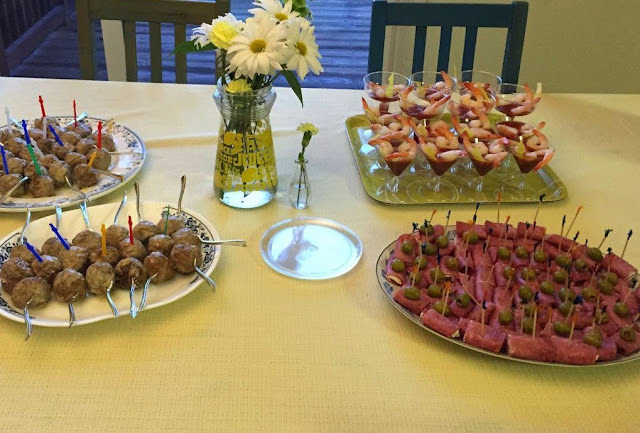 We're keeping it simple and offering finger foods like meat and cheese roll-ups, shrimp cocktail, and meatballs. 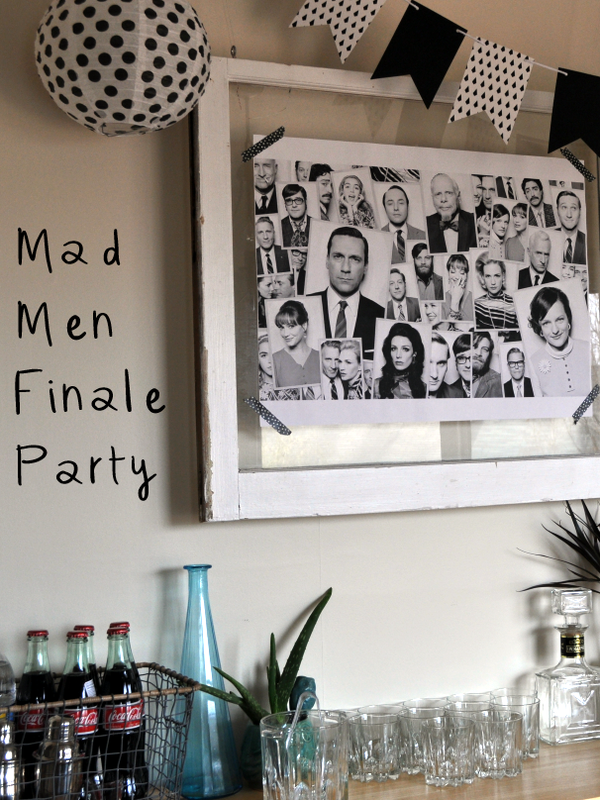 We hope you've picked up some ideas for your finale party next week. Tag us on Instagram with your party photos, we'd love to see them!